What it’s like to be the husband of a woman with metastatic breast cancer. As part of our October “Metastatic Monday” blog series, BCRC will be publishing stories from our clients and their loved ones who are (or have been) faced with a metastatic breast cancer diagnosis. Metastatic Breast Cancer, also known as Stage IV, is cancer that has spread outside of the breast to other organs such as bones, liver, lung or brain. This week’s blog is authored by Steve Martin. Steve is the loving husband of Diane Martin, who was first diagnosed with breast cancer in 1998 and eight years later her cancer had metastasized. Today, Steve provides support to the Breast Cancer Resource Centers of Texas (BCRC) as a founding member of The Lotus Circle, and currently serves on BCRC’s Board of Directors. My wife Diane and I have been blissfully (and I really mean blissfully) married for 30 years. Diane was first diagnosed with breast cancer 16 years ago. At that time our wonderful kids were 10, 12 and 14. The diagnosis was scary and gut-wrenching for the whole family, but we were comforted with the thought that after her mastectomy, radiation and chemo, she’d do fine over the long run. Several years went by and she breezed past that magic 5-year point that is a milestone for cancer survivors. Usually, if you go past five years without a recurrence, your chances are better that you won’t have to deal with cancer again. Unfortunately, eight years after her original diagnosis, she had a recurrence, and her cancer had metastasized and moved to several places in her body. Our family was again rocked by this unexpected news and genuinely terrified at what the future might hold. We would soon learn that there are lots of chemo treatments for metastatic breast cancer and many women can go for years supported by these treatments. So in our minds, we looked at it as a chronic illness that just needed to be treated regularly to control. And that’s true. It is treated like a chronic illness. The difference is that in most cases, the individual chemo therapies eventually lose their efficacy so it’s necessary to move from drug to drug as one stops working and another is brought in. Sadly, in most cases, the drug choices available ultimately run out and the last choices are often unproven trial drugs. That’s when patients and families begin to think in terms of end-of-life issues, because barring a miracle, the cancer will not be stopped. Throughout all of this, we’ve been fortunate enough to have the support of the Breast Cancer Resource Centers of Texas. BCRC has given us support, counseling, education and emotional comfort from women who are breast cancer survivors themselves and who know exactly how we are feeling. When my wife was first diagnosed, her cancer had already spread to her lymph nodes and she felt that her diagnosis was worse than other survivors she had talked to…until she was paired with a survivor volunteer from BCRC who had experienced the same kind of diagnosis years before. That made all the difference to my wife and she found great comfort in having a supporter that shared her experiences. BCRC has made my life richer and more meaningful…not only because of the way they’ve supported my wife and family, but because I’ve had the good fortune to serve on the board and to see first-hand how many lives are made better through the BCRC, even in the face of the challenges of breast cancer. Today, Diane has been a metastatic breast cancer survivor for eight years. Her therapy options are beginning to dwindle, but her courage, determination, patience and love are at an all-time high. She just went through knee replacement surgery because she wants to be able to enjoy her active life without knee pain. And although the side effects of eight years of constant chemo continue to take their toll on her body and energy, she rarely shows those challenges to anyone but me, and perhaps her friends at the IV League support group for women with metastatic breast cancer. So what is it like to be the husband of a woman with metastatic breast cancer? On the one hand, it’s the most wonderful thing on earth…I mean, I get to wake up every day and see Diane’s beautiful face and melt-my-heart smile. I get to spend my life with her, and there’s no one else I would rather go through life with. It’s like the country song says, “I’ll always be the man in love with you”. So I love being with my soul mate, my love, the incredible mother of my amazing children and the sunshine of my life. The fact that she has metastatic breast cancer doesn’t change the joys and love we share together every day, and if anything, it makes it more present, more tangible, more meaningful, and more “in perspective” in the grand scheme of life. So on the one hand, I consider myself the luckiest man on earth to have Diane. On the other hand, being the husband of a woman with metastatic breast cancer is, at times, like watching the person you love most in this world fighting in a fiery gun battle and all I can do is watch it from the safe side of the bulletproof glass. Men…husbands, like to try and fix things. Well, you can’t fix metastatic breast cancer any more than you can stop the bullets on the dangerous side of the glass, but I’ve learned that I’m not helpless to help…and I can even fix a few things that aren’t medical at all. What I can do is work to make every day for Diane as special as it can possibly be. And FYI, I often fail miserably. But if you can imagine the moments of sadness, despair, anger, frustration and exhaustion that Diane, and every metastatic survivor must face at times, then you can see the importance of my efforts in supporting her every step of the way. It’s a job I look forward to, not because I take any joy in her challenges, and of course, quite the opposite, but because it’s my only way to reach through the glass with love and pull her to safety in mind and spirit. I would gladly give my life for Diane, but in this case my only option is to try and give life to Diane. Life that is filled with family, and love, and joy, and peace, and laughter, and comfort, and travel, and fun, and friends and all the things that make life so wonderful in spite of the fact that she has metastatic breast cancer. 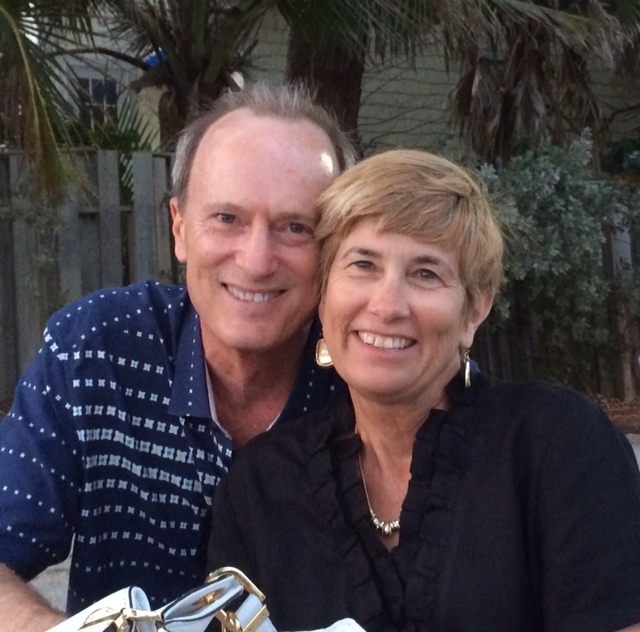 Ultimately, to be the husband of a woman with metastatic breast cancer is exactly like life. God promised us that life would not be easy and would be filled with challenges, and he also promised us great blessings, and joy, and love, and peace. That’s why I’m so thankful to have Diane and to be the husband of an incredible woman with metastatic breast cancer. For information regarding metastatic breast cancer, please visit www.mbcn.org. BCRC’s Locally Pink campaign offers you the chance to make a big difference – today – for women like Diane who are living with metastatic breast cancer. Rethink Pink & MAKE A DIFFERENCE. If you or someone you know is facing metastatic breast cancer and could use our support, please visit our website or call our helpline at 512-524-2560. To speak with someone directly about BCRC’s IV League, please contact Patient Navigator Dianna Petrick at dpetrick@bcrc.org / 512.901.6644.